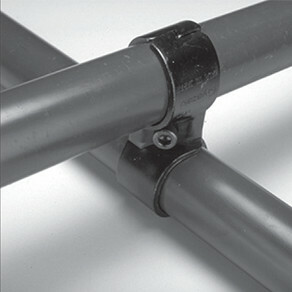 Creform metal joints, made of high quality, cold rolled, 12-gage steel are black coated for corrosion protection. 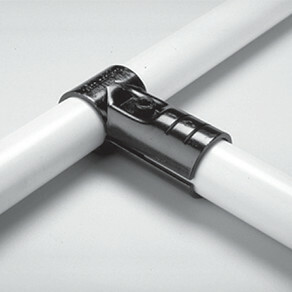 The flexibility and reusability of metal joints make them the most popular joint among users. When needs change, structures are easily disassembled and modified or simply recycled into new structures. 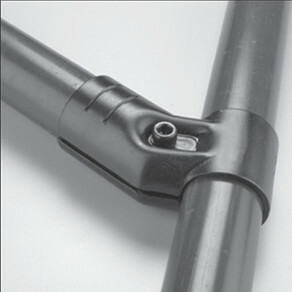 Creform metal joints are available as H (28mm) components or HJ (28mm) joint sets. 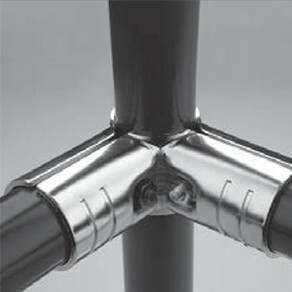 H-components are joined together with common sized nuts and bolts to form HJ joint sets. 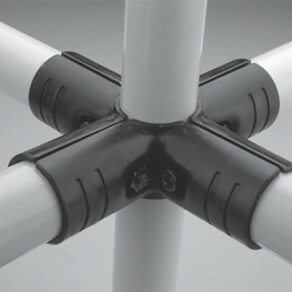 Metal joint sets are also available in SJ (32mm), LJ (42mm) and LEJ (42mm/28mm) joint sets. 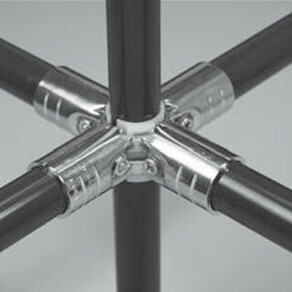 All Creform joint sets are designed to hold the nut so only a simple hex wrench is required for assembly or disassembly. Nickel plated versions of 28mm and 42mm Creform joints are available for use with ESD rated Creform pipe for structures in anti-static applications.